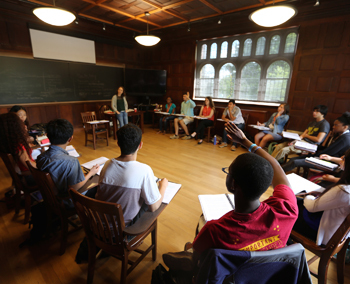 We understand that our work does not end once our Scholars enroll at selective institutions. Our College Success team provides ongoing support to them throughout their college years, empowering them to become exemplary students and campus leaders. LEDA’s College Success team maintains close contact with each Scholar through phone/video calls, social media, campus visits, and individual appointments in the LEDA office. College Success places particular emphasis on the freshman transition, scheduling multiple phone meetings with our first-year college students to help them navigate academic planning, financial issues and social adjustment. 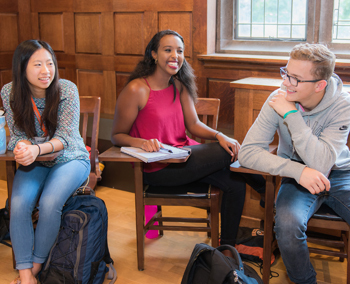 LEDA also connects first-year Scholars with older Scholars at their colleges through a peer mentoring program, and College Success staff visit Scholars on their campuses. College Success also facilitates post-graduation planning for Scholars that starts early. It begins with help in networking and securing internships while they’re pursuing their degrees and then with support and guidance in reaching (and sometimes identifying) their goals after graduation. We assist our Scholars with applications to graduate and professional schools (including preparation for the GRE, LSAT, GMAT, and MCAT), and with career planning, and job-hunting. Community is important to us because it is important to our Scholars. 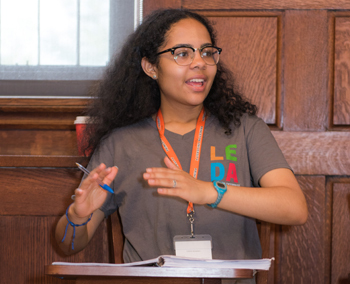 When we ask for their feedback about our programs – something we do routinely – so many of our Scholars tell us they couldn’t have achieved what they did without the support of the larger LEDA Scholar community. 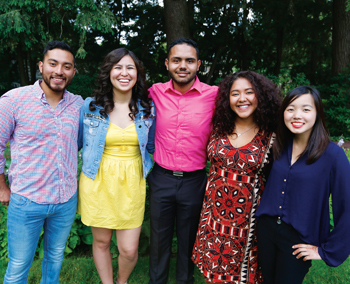 So we put a lot into events that keep our community strong—from gatherings on individual campuses to our annual LEDA reunion, which allows Scholars to reconnect with LEDA and meet new members of the LEDA community. It’s all aimed at helping LEDA Scholars of every age cultivate the personal and professional networks that will continue to support their leadership development. 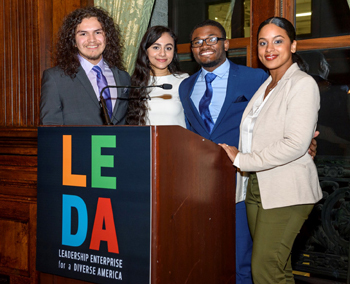 The LEDA Career Network provides high-achieving, under-resourced college students with career exploration and development.